Director elaborates on her defense of the flick and gets some support from several veterans of her work. Kathryn Bigelow on the cover of Time. While you might not know it from her youthful looks, Kathryn Bigelow has been around the Hollywood block and then some. Gracing the cover of the latest issue of Time, the 61-year-old filmmaker not only opens up about entering her fourth decade in the business, but sounds off further on the controversy that's erupted over "Zero Dark Thirty's" torture scenes and her artistic intentions in including them. Here's what she and some of the actors she's worked with, including the Oscar-nominated film's star Jessica Chastain, has to say to critics--including many government officials with intimate knowledge of the CIA's detainee program--who've claimed that "ZDT" endorses the use of torture. 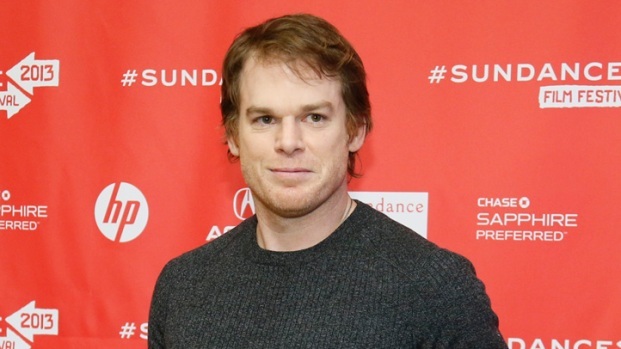 Michael C. Hall chats at Sundance 2013 about the final season of "Dexter" premiering summer 2013 instead of in the fall, like previous seasons have. What is the motivation? Plus, what's it like being at Sundance for his new movie, "Kill Your Darlings"? "This territory has been controversial since the early part of the decade, so I knew that the film was going to be controversial, though perhaps I didn't anticipate this kind of volume," Bigelow tells the magazine. "I feel we got it right. I'm proud of the movie, and I stand behind it completely. I think that it's a deeply moral movie that questions the use of force. It questions what was done in the name of finding bin Laden." Nicole Kidman hits the red carpet for the premiere of her new film, "Stoker," in Park City, UT where she chats about being the face of the Sundance Film Festival. Plus, she gushes about husband Keith Urban being a judge on "American Idol." "The film creates a conversation," adds the star, who play the film's protagonist, CIA operative Maya. "I believe that was Kathryn's intention when she made the film--to open a conversation. She ends it with an unanswered question, 'Where do you want to go?' She's asking the audience, 'Where have we been, and where do we go from here?'" - Regarding Bigelow's procedural take on the story, Willem Dafoe, who worked with the director on her first feature, "The Loveless," says that Bigelow approaches her subjects with a clinical eye. "Kathryn then is the same Kathryn now," remarks the actor. "She's attracted to something instinctively, and then she researches it, and her research becomes an adventure...and she's still interested in learning the language and rituals of hidden worlds. Just look at her titles--"Hurt Locker," "Zero Dark Thirty." It's like coded language and she's cracking the code." As for her Zero Dark collaborator, screenwriter and producer Mark Boal, he remains adamant the movie doesn't give a false impression. "If the general impression you get from this movie is that torture played a role in the hunt for Osama bin Laden, that's because that's true. That's a fact. It doesn't mean they had to torture people or that torture is necessary or torture is morally right," he says. For the full profile on Bigelow, visit Time's website.